Brief Whisky distilleries are eager to engage with younger audiences. 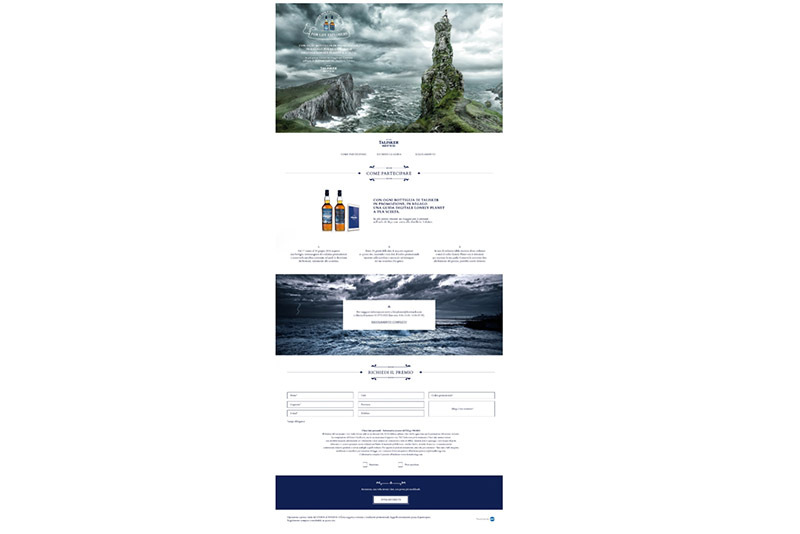 To create an added value campaign to increase sales of two new whiskies - Talisker Skye and Talisker Storm – engaging with a younger target and increasing brand awareness on whisky flavor segment. Solution ‘For Life’s Explorers’ - combining life experiences with taste, bringing out the intensity and strength of the new whisky, and giving the consumer a unique and immersive experience. 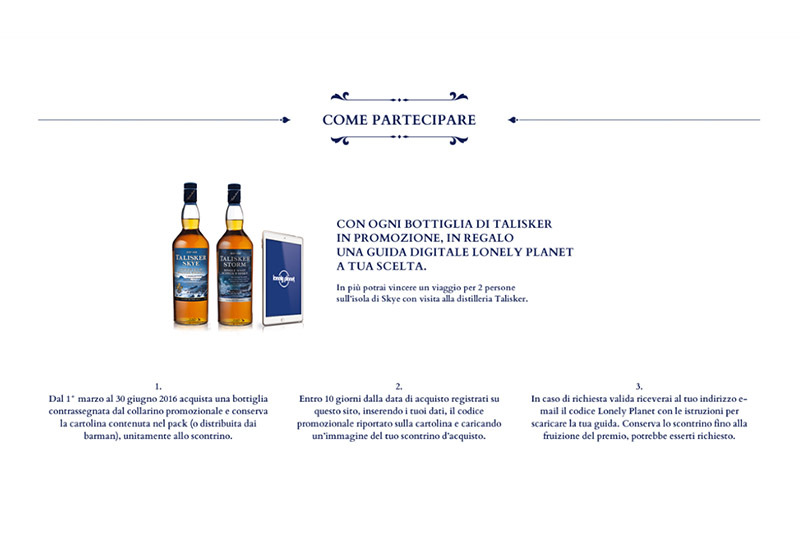 All Every purchase offered a digital Lonely Planet travel guide and the chance to win a trip for 2 people on The Isle of Skye, visiting the Talisker distillery. 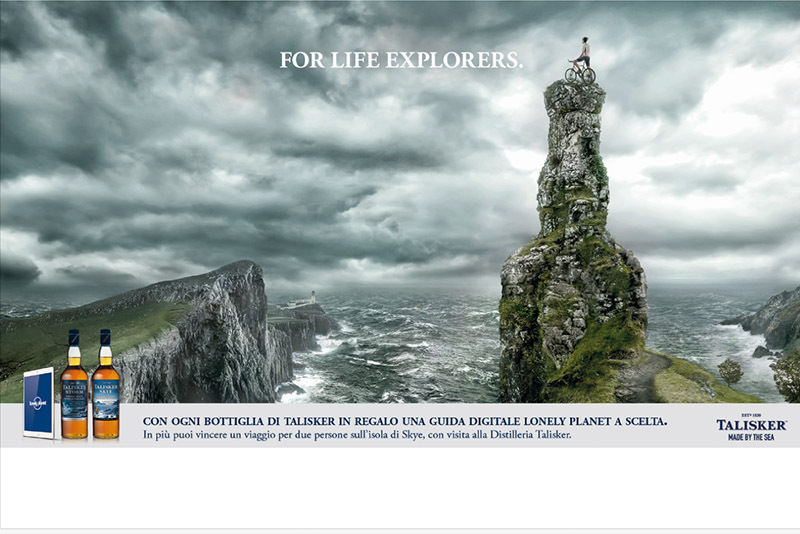 Results Talisker experienced a sensational sales uplift together with an increased brand perception amongst their target market.